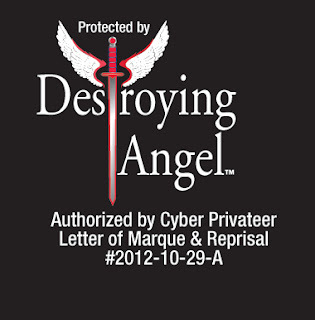 The Morgan Doctrine: "This site protected by cyber privateers"
Computerworld, 28 October 2010 - Adobe today confirmed that hackers are exploiting a critical unpatched bug in Flash Player, and promised to patch the vulnerability in two weeks. Admittedly, Destroying Angel is my own alter ego creation, named after a novel I wrote back in 2000. I envisioned a computer genius named Black Madonna who spoke only in palindromes and created a self-aware cyber entity named Black Dragon. Hence comes the name under which I post on this blog: Destroying Angel. I even had bicycle racing jerseys printed up with my Destroying Angel logo on the back. 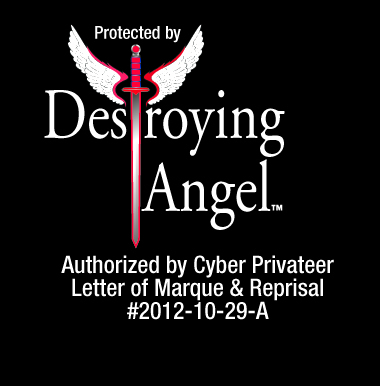 And of course I own the domain: www.DestroyingAngel.com. Maybe someday it'll be worth something. Now consider the plight of Adobe. They have a known Flash Player flaw. It's going to take them two weeks to plug it. What a nightmare for corporate management, not to mention millions of Web sites who rely on Flash. What if those sites had a similar logo to the one above discretely located on their landing pages? What if Adobe products themselves also had such a warning label? It doesn't stretch the imagination to project a follow-up news story in which a large amount of money was confiscated from the bank accounts of a dozen Chinese college student/hackers before they could empty their accounts. Would this be valuable, today, for Adobe? Back to the first-mover advantage of a country that legalizes and welcomes cyber privateers. 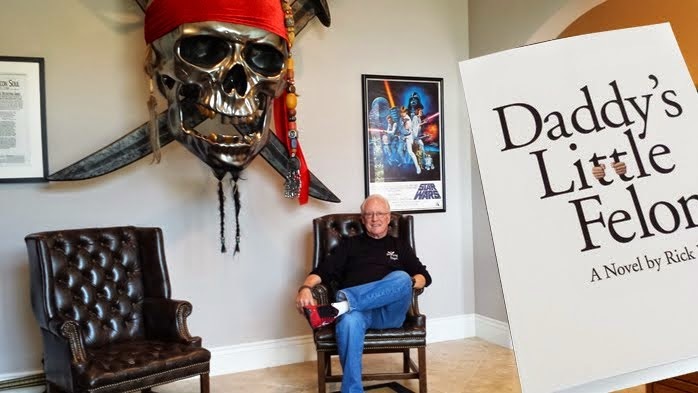 Not only would the cyber privateers pump a fortune into their economy, but every major software provider or Internet superpower in the world might establish a de facto home office in that first-mover country. Along with a first-mover financial institution who wanted to write "bonding insurance policies" for recognized cyber privateer organizations. You get the picture. The first country that moves on this wins big. I kind of hope it will be the United States. But crackie! Australia makes sense, too. Any other countries come to mind?